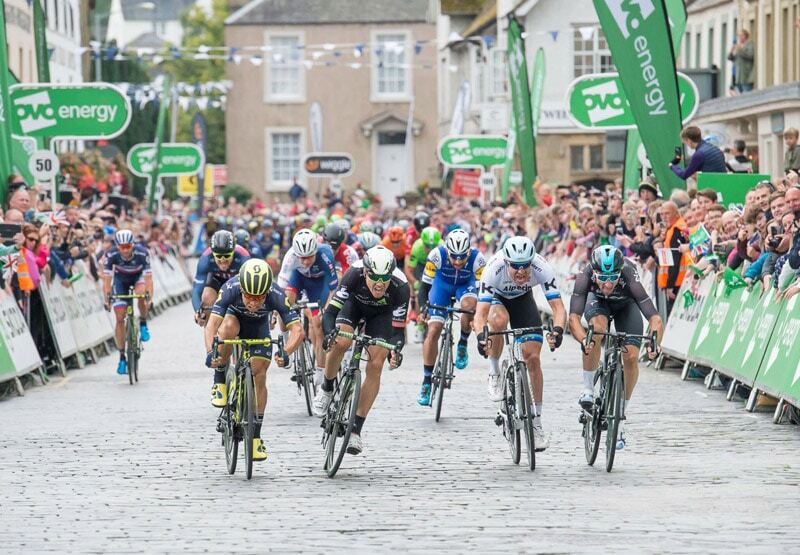 The OVO Energy Tour of Britain and more than 100 of the world’s best riders heads to Cumbria and the Lake District for stages five and six of the event on Thursday 6 and Friday 7 September. 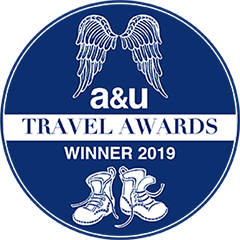 The cycle race across Britain from 2-6 September, will include a team time trial for the first time, as well as a summit finish on Whinlatter Pass in Cumbria on Stage Six. The 1,140-kilometre route will take some of the world’s top riders from Pembrey Country Park on the Carmarthenshire coast in South Wales to the streets of Central London, via Devon, Bristol, Warwickshire, Cumbria and Nottinghamshire across eight stages of racing. Two stages will take place in the Lake District. Stage five on Thursday 6 September is a 14km time trial from Cockermouth to Whinlatter. Whilst the grueling 168.3km final race stage on Friday 7 September will wind through the Lake District from Barrow-in-Furness to Whinlatter Pass. 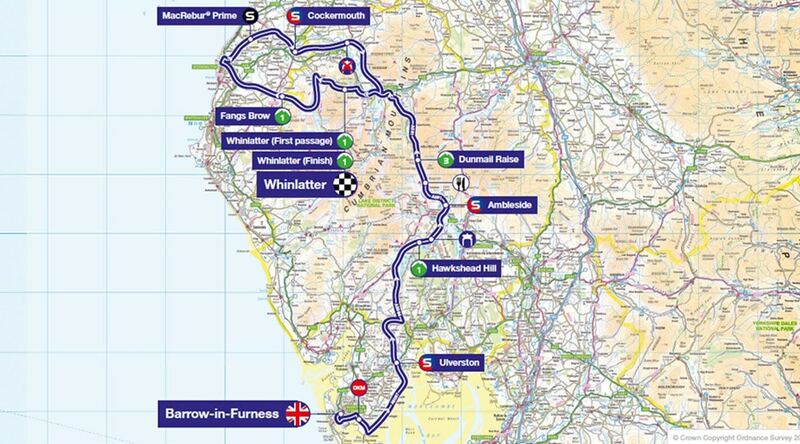 Stage Five of OVO Energy Tour of Britain starts in nearby Cockermouth. As the birthplace of Wordsworth, Cockermouth is the ideal location for a day trip for hotel guests. With the buzz of the event throughout the town, you will be able to see riders whizz past at speeds of up to 30mph as they make their way towards Whinlatter Visitor Centre. 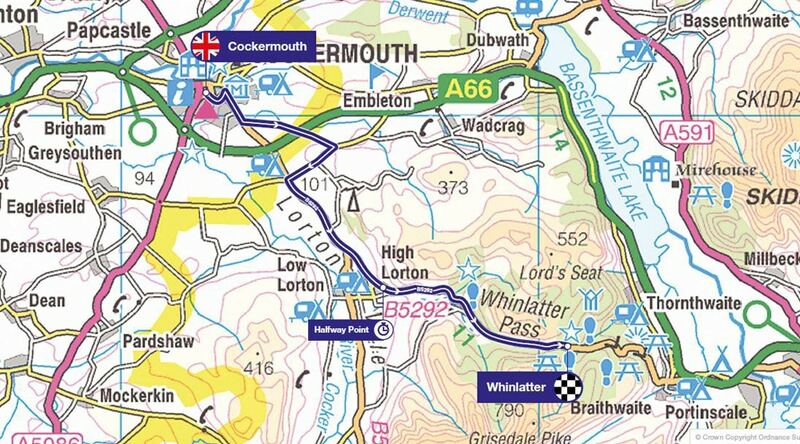 The route for the first ever team time trial will bring riders up Lorton Vale to arrive at the Whinlatter Visitor Centre after climbing from the western side of Whinlatter Pass. Watch the cyclists tackle a steep ascent up as they make their way towards Whinlatter Forrest. Teams depart from Cockermouth, which previously hosted a start in 2015, before tackling Whinlatter from what is considered to be its easier western side. The 14-kilometre test gains over 300 metres in altitude, with the final five kilometres of the stage against the clock averaging a 4% climb. The rider who goes on to claim the final OVO Energy Green Jersey will need the team to ride well in this crucial test. Riders will climb Whinlatter twice more, from its harder eastern side, during a 168.3 km road stage that starts in Barrow-in-Furness and passes north along the Coast Road to Ulverston. The second of the ascents up the 3km climb of 7% will end with a finish at the Forestry Commission’s visitor centre. We wodul expect the route to be lined with spectators. For guests wanting more adventure at Whinlatter, try one of the tree top courses or Segway. The world’s first permanent orienteering course was developed at Whinlatter, and this remains popular to this day. The forest is still a haven for Wildlife, and is designated as a National Red Squirrel Reserve, and home to the Lake District Osprey Project. Escape to the Lake, our two night foodie break is available Sunday 2 to Thursday 6 September. Book now to stay at Another Place, The Lake.